At Total Body Clinic, we practice therapeutic skin care, as we identify the root causes of your problem skin and develop a plan of action that will keep your skin in balance going forward. Our strong knowledge is complemented by our use of the highest quality products. We aim to make an impact on our clients’ lives by personalizing and adding new dimensions to routine treatments. Our faithful clientele rave about our willingness to listen, eagerness to share knowledge and interest in helping them look their best. Our clients with teenage girls and boys also rely on us to help with problem teenage skin. Our solutions are natural, not drug-based. We’ve helped many, many teens improve their skin and regain their confidence during those challenging high-school years. Our specialty areas are the treatment of acne and rosacea, which are always followed up with a detoxifying lymphatic drainage of the face and a massage of the neck and shoulders. Since our therapist is a licensed massage therapist with years of experience, this phase of the treatment is especially delightful! Many of our skin-care clients have been prior patients of dermatologists, and were not getting the results expected, despite long regimens taking toxic prescription drugs. This is especially true for our clients with acne, who have seen tremendous improvement through regular extraction, cleansing, and decongesting. We are big believers in home care: i.e. taking good care of your skin between visits, through changes in your diet, habits, and the application of the correct products. Our lead esthetician is an expert on cosmetic ingredients. New clients are encouraged to bring their current products to their initial visit to go over the order and timing of application, redundancies/conflicts in ingredients, potential for adverse reactions, etc. We’ll also go over other health issues (such as allergies or hormonal imbalance) to identify other potential causes of problem skin. Our esthetics staff is trained, guided and closely supervised by lead technician Isabel Viveros-Ciampi. Isabel obtained a University-level skin-care degree in Buenos Aires, Argentina, in 2001, complementing years of skin-care related study in specialized institutes over the course of the 1990s. Her University degree in skin care included classroom training from dermatologists, kinesiologists, cosmetic chemists, microbiologists, and other physicians, followed by internships in the dermatology units of local Buenos Aires hospitals. Upon relocation to the US in 2003, she enrolled in and graduated from Atelier Esthétique Institute of Esthetics in Manhattan in order to familiarize herself with accepted American methods. 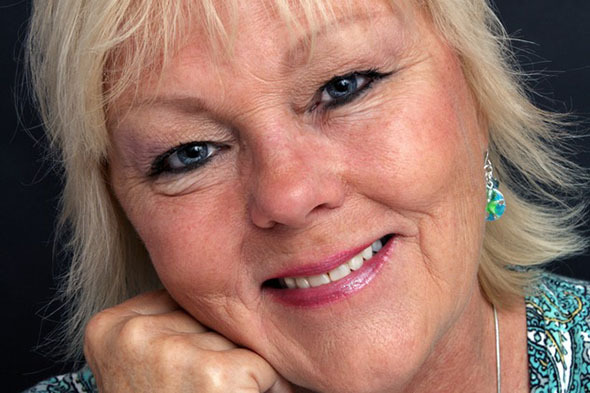 Since then, she has attended advanced training classes in the International Dermal Institute in Manhattan, the Circadia Institute of Advanced Aesthetics, and the Advanced Aesthetics Training Institute among many others. This customized treatment begins with deep steam cleansing and exfoliation to remove dead skin cells and improve skin tone and texture. 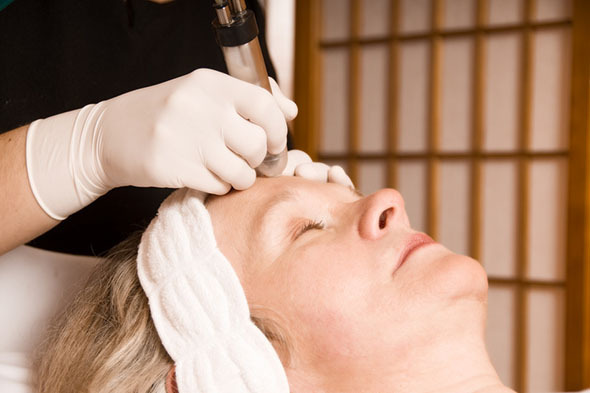 Extractions are performed to remove impurities, followed by custom facial massage techniques consistent with your skin type to stimulate blood circulation and cellular activity. While your chosen mask is rebalancing your skin, be pampered by a relaxing neck, shoulder, arm and hand massage that is certain to ease your mind and spirit. A finishing application of the appropriate moisturizer follows. A favorite of our teen clients and anyone else seeking relief from breakouts and drug-related treatments. We will design a treatment just for you, considering your age and the factors that could be causing your acne and blackheads. After a deep cleansing and thorough extraction of all the impurities in your face, we will use a targeted mask to purify and decongest your problem skin to reveal a clean, healthy glowing complexion. For an additional fee, add on a 30-minute Manual Lymphatic Drainage of the face to help with your healing process and the detoxifying of your skin. Need a little more time and attention? 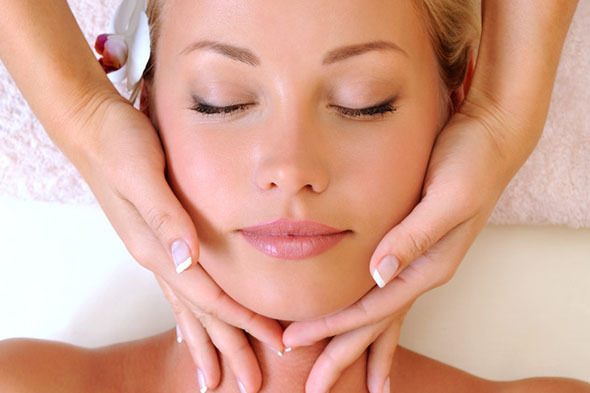 Are you searching for the perfect facial? Attention to the smallest detail? Something designed to meet your specific skincare needs, whether it is a deep pore-cleansing, hydration, or just wanting to relax with a long facial massage? This advanced treatment takes facials beyond cleansing, toning and moisturizing. Key ingredients at our disposal in the correction phase are serums, ampoules, specialty masks, hydration with Dr. Lucas spray, and eye treatments. As the mask is taking effect, experience a relaxing upper-body massage aimed at releasing and easing all the tension that causes the facial muscles to tighten and appear tired and fatigued. This is the ultimate facial that will restore and pamper anyone. A peeling should be considered by women wishing to repair fine lines, sun damage, skin discoloration, age spots, scarring from acne, enlarged pores, and other imperfections. 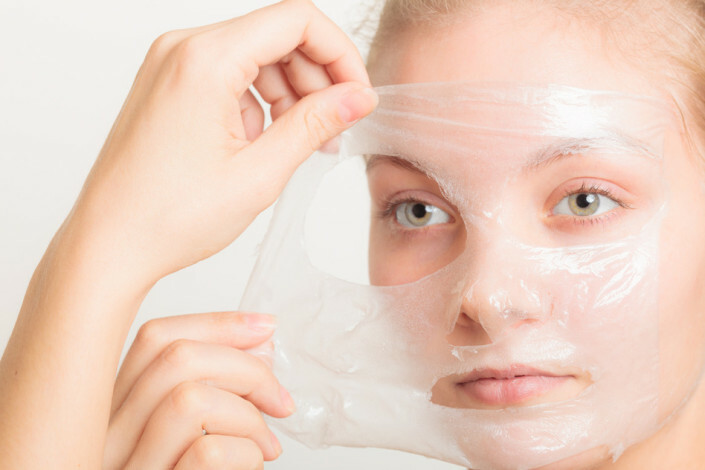 Chemical peels use an acid solution to remove the outer layer of the skin, effectively ridding it of wrinkles and light scarring. During the procedure, your skin will be thoroughly cleansed before a trained technician paints the acid solution onto your face, exfoliating it and ridding it of the outer layer. Most effective results will be obtained via purchase of a series of peels, which is available at a discount. See our Skin Care series for more information. A gentle treatment recommended for sensitive or irritated skin like those with rosacea. Specifically formulated for relieving redness, congestion and sensitivity. Customized treatment combines the optimal mix of ingredients for sensitive skin. An MLD massage is included to detoxify, calm and diffuse redness. This extremely relaxing and noninvasive treatment will soothe and decongest your skin while easing irritation. You will leave very relaxed and glowing. A favorite for our clients’ husbands and boyfriends! A treatment for results-oriented men seeking professional skin care that works. 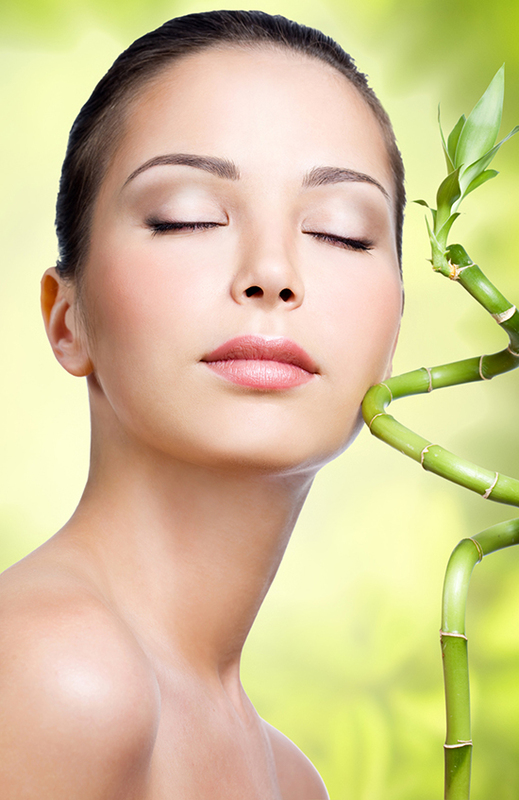 We combine full relaxation with deep detoxification to revitalized dull, tired, stressed and pore-congested skin. As the mask is soothing skin irritated by daily shaving and environmental pollution, you will experience a relaxing and therapeutic neck and shoulder massage to help you unwind. The perfect stress-relief facial for today’s hardworking gentleman! (Please shave before appointment.) Please note that we accept male patrons only when referred to us by an existing female client. Microdermabrasion is an advanced exfoliation treatment that polishes the skin helping to rejuvenate, smooth and improve imperfections. It has been used effectively to minimize fine lines and wrinkles, treat sun damaged skin, acne scarring and superficial age spots.Your skin will feel vibrant and healthy and you will notice an immediate difference in the way your skin feels because it will be softer and smoother. 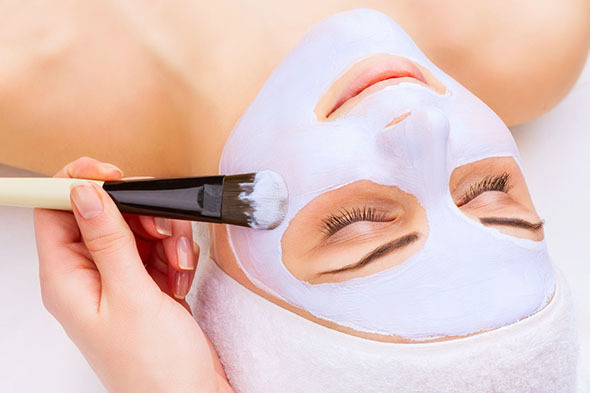 Choose a microdermabrasion only (30 minutes/$100) or a deluxe treatment which complements your microdermabrasion with extractions and specialty mask (75 minutes/$150). Discounts available on multiple treatments (see Packages page). If your skin has endured the dulling effects due to stress, pollution, sun damage, smoking, or age-related wrinkles, this is a wonderful rejuvenating and revitalizing service to jumpstart any dull face. Whether a glycolic-acid, lactic-acid or Vitamin C peel is used, the aim is always to exfoliate and shed dead skin cells. You will see an increase in cellular renewal and a reversal of the effects of UV damage, including superficial wrinkles, uneven skin tone and hyperpigmentation. A series of five is recommended for better results. Included is a customized skin-specific mask that will leave your skin with a natural radiance and glow. This treatment can be used on any skin type to treat rosacea, acne and sun-damaged skin. The germicidal action makes it extremely beneficial for acne, while the lightening and vasoconstricting capabilities give instant results. The procedure is quick, easy and pleasant, and the result is clear and luminous skin with a feeling of firmness. Based on a six-treatment protocol of Circadia Advanced Medical Skincare, your purchase of a six-session series includes Circadia’s Oxygen RX product, which is used over the course of the treatment.